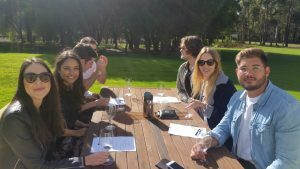 This wine tour has been personally curated to only take you to the best wine tasting experiences in Margaret River. All of the wine tastings will be seated and in fantastic settings. The lunch is included and is at a gold plated award winning restaurant, and the day will finish in a secluded spot on the coast [for groups of 3 or more], eating local produce and drinking craft beer or wine. To create more intimacy, the maximum number of people on this tour is 6. 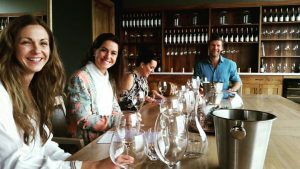 The “Wow” Recently voted Australia’s Best Cellar Door by gourmet traveller magazine, Amelia Park has certainly made an impression in the Margaret River wine landscape. Enjoy a private seated tasting in an incredible room that overlooks the vineyard. The Boutique. Windows Estate is a special winery with very small quantities (you can not but the wine in bottle shops) of award winning basket pressed wine. This seated tasting will be in a fantastic setting. The Bush Setting Lunch. Currently ranked number 1 on Tripadvisor in the Wilyabrup region, Rustico has certainly made an impression on the Margaret River food scene. This award winning restaurant is renown for locally sourced, beautifully presented tapas. We do not want to limit your choice, so each person will be given $50 ($100 per couple) to order whatever they like at Rustico. 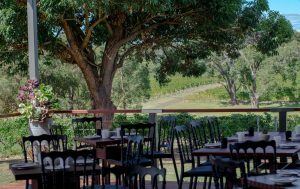 On busy times of the year Rustico may be booked out – in which case we will use other premium winery destinations for lunch. The Iconic. Vasse Felix is the first winery in Margaret River and one of the most iconic in the region. Enjoy a private seated tasting as you are shown through the range of these highly awarded wines. The Hidden Gem At the helm of Cape Grace are husband and wife team Karen and Rob, who produce very small quantities (you can’t buy this wine in bottle shops) of award winning wine using a traditional basket press. Enjoy a private tasting, and then be taken behind the scenes to the barrel room of this little beauty. 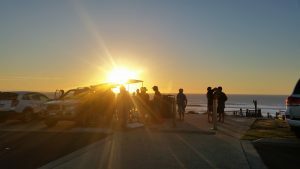 The Grand Finale’ [ For groups of 3 or more] Is there a better way to finish the day than setting up deck chairs high above the cliffs, watching the waves crash and the sun going down, and enjoying a selection of boutique beers, wine, cheese and local produce? The Flying Corkscrew team will access weather conditions for the day, and then take you to the part of the coast we think is best.